Silvery straw color. Aromas and flavors of green pear, melon, kiwi, and grapefruit marmalade on rice cake with a bright, fruity light-to-medium body and a delightful, medium-length finish with accents of honeyed strawberry and pepper jelly on raisin nut toast with no oak flavor. A tasty, easy-drinking sauvignon blanc that charms and delights. Bottom Line: A tasty, easy-drinking sauvignon blanc that charms and delights. 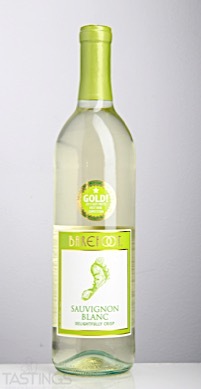 Barefoot NV Delightfully Crisp, Sauvignon Blanc, California rating was calculated by tastings.com to be 88 points out of 100 on 9/13/2017. Please note that MSRP may have changed since the date of our review.